Zurich-based auction house Numismatica Ars Classica informed us about a coin theft that took place in the train going from Zurich via Visp to Martigny on the afternoon of October 18, 2012. All coins are Gold and exceedingly rare. Should you be offered or have been offered one of these coins or a group of them, then please contact Numismatica Ars Classica. See attached list of 24 Parthian lost coins that we bought from our Jan 2016 New York Auction when sent by Royal Mail to a client in France in February this year. 1. Kingdom of Persis. Artaxerxes II (1stCentury BC). Silver Hemidrachm, 2.04g, type 1c. Large bust of Artaxerxes II left, with short beard, wearing diadem with two ties, torque with two segments, and mural crown with two towers, no symbol behind. Rev. King standing left, holding sceptre and sacrificing before altar to left (NAP 597, this coin, otherwise unpublished with two-towered mural crown). Well struck and bold, light mottled toning, choice very fine. 2. Kingdom of Persis. Artaxerxes II (1stCentury BC). Silver Drachm, 4.08g, type 1d. Large bust of Artaxerxes II left, with short beard, wearing diadem with four ties, torque with four segments, and mural crown, symbol behind. Rev. King standing left, holding sceptre and sacrificing before altar to left (Klose & Müseler 4/10; Alram 570; Tyler-Smith -; Sunrise 598, this coin). Boldly struck, cleaned and toned., extremely fine. 3. Kingdom of Persis. Oxathres I (1stCentury BC to 1st Century AD). Silver Drachm, 3.85g, type 1. Bearded bust of Oxathres I left, wearing diadem with three ties and torque with four segments, crescent(?) before. Rev. King standing left, holding sceptre and sacrificing before altar to left (Klose & Müseler -; Alram 579; Tyler-Smith -; Sunrise 602, this coin). Bold portrait in high relief, extremely fine, lightly toned. 4. Kingdom of Persis. Oxathres I (1stCentury BC to 1stCentury AD). Silver Hemidrachm, 2.22g, type 1. Bearded bust of Oxathres I left, wearing diadem with three ties and torque with three segments, monogram behind. Rev. King standing left, holding sceptre and sacrificing before altar to left (Klose & Müseler -; Alram 580; Tyler-Smith 114-5; Sunrise 603, this coin). Light grey tone, extremely fine. 5. Kingdom of Persis. Pakor II (1stCentury AD). Silver Drachm, 3.89g. Bearded bust of Pakor II left, wearing diadem, flower(?) to left. Rev. Bearded bust of king left, wearing diadem (Klose & Müseler -; cf Alram 588 (Pakor I; no symbol on obv. ); Tyler-Smith -; Sunrise 615, this coin). Boldly struck on a nice broad flan, toned, extremely fine. 6. Kingdom of Persis. Nambed (1stCentury AD). Silver Hemidrachm, 1.43g. Bearded bust of Nambed left, wearing diadem and mural crown, uncertain symbol to left. Rev. King standing left; star in crescent to left (Klose & Müseler 4/42; Alram 604; Tyler-Smith -; Sunrise 630, this coin). Extremely fine, no toning. 7. Kingdom of Persis. Kapat (1stCentury AD). Silver Hemidrachm, 1.80g. Bearded bust of Kapat left, wearing diadem and Parthian-style tiara with two rows of pellets, pellet border. Rev. Bearded bust of king left, wearing diadem (Klose & Müseler -; cf Alram 613; Tyler- Smith -; Sunrise 639, this coin, otherwise unpublished). Extremely fine, lightly toned. 8. Kingdom of Persis. Kapat (1stCentury AD). Silver Obol, 0.62g. Bearded bust of Kapat left, wearing diadem with one loop tie and Parthian-style tiara with two rows of pellets, pellet- in-crescent to left, no border. Rev. 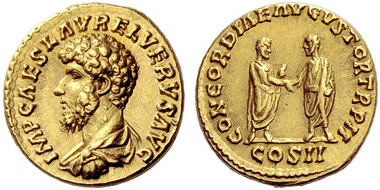 Bearded bust of king left, wearing diadem (Klose & Müseler -; Alram 614; Tyler-Smith 204; Sunrise 643, this coin). Lightly toned, superb extremely fine. 9. Kingdom of Persis. Manuchtir II (2nd Century AD). Silver Hemidrachm, 1.39g. Bearded bust of Manuchtir II left, wearing diadem and Parthian-style tiara with pellet-in-crescent. Rev. Bearded bust of king left, wearing diadem (Klose & Müseler -; Alram 635; Sunrise 662, this coin). Extremely fine, lightly toned. 10. Kingdom of Persis. Manuchtir III (2nd Century AD). Silver Drachm, 3.37g. Bearded bust of Manuchtir III left, wearing diadem and Parthian-style tiara decorated with pellet-in- crescent. Rev. Bearded bust (of Manuchtir II?) left, wearing diadem and Phrygian-style tiara (Klose & Müseler 5/15; Alram 642; Sunrise 665, this coin). Struck on a nice broad flan, extremely fine, lightly toned. 11. Kingdom of Persis. Manuchtir IV (2nd Century AD). Silver Drachm, 3.31g. Bearded bust of Manuchtir IV left, wearing diadem, hair in bunch above. Rev. Bearded bust (of Manuchtir III?) left, wearing diadem and Parthian-style tiara (Klose & Müseler -; Alram 646 (Manuchtir III); Sunrise 669, this coin). Well struck on a broad flan, toned, extremely fine. 12. Kingdom of Persis. Manuchtir IV (2nd Century AD). Silver Drachm, 3.16g. Bearded bust of Manuchtir IV left, wearing diadem, hair in bunch above. Rev. Bearded bust (of Manuchtir III?) left, wearing diadem and Parthian-style tiara (Klose & Müseler -; cf Alram 646 (no pellet in legend; Manuchtir III); Sunrise 671, this coin). Extremely fine, no toning. 13. Kingdom of Persis. Manuchtir IV (2nd Century AD). Silver Hemidrachm, 1.65g. Bearded bust of Manuchtir IV left, wearing diadem, hair in bunch above. Rev. Bearded bust (of Manuchtir III?) left, wearing diadem and Parthian-style tiara (Klose & Müseler 5/18; cf Alram 646 (drachm; Manuchtir III); Sunrise 672, this coin). Extremely fine, no toning. 14. Kingdom of Persis. Manuchtir IV (2nd Century AD). Silver Obol, 0.57g. Bearded bust of Manuchtir IV left, wearing diadem, hair in bunch above. Rev. Bearded bust (of Manuchtir III?) left, wearing diadem and Parthian-style tiara (Klose & Müseler -; cf Alram 646 (drachm; Manuchtir III); Sunrise 673, this coin, otherwise unpublished). Delicately toned, extremely fine. & Müseler -; cf Alram 651 (rays above crown on rev. ); Sunrise 685, this coin). Toned, choice very fine. 16. Sasanian Kingdom. Varhran (Bahram) II (AD 276-293). Silver Drachm, 4.09g. Jugate busts Varhran II, wearing winged crown with korymbos, and his queen wearing kolah with boar’s head, right, vis-a-vis bust of Prince 4, presenting wreath and wearing kolah with eagle’s head, left. Rev. Fire altar with ribbon, flanked by Varhran II and his queen, holding ring, facing toward altar, symbol to left of flames (SNS type VII/5; Göbl type X/3; Paruck 158; Saeedi 168; Sunrise 789, this coin). Extremely fine, lightly toned. Rare. 17. Sasanian Kingdom. Shapur II (AD 309-379). Silver Obol, 0.70g, mint IX ("Kabul"), c. AD320. Bust of Shapur II right, wearing mural crown with korymbos and inner ribbon. Rev. Fire altar with ribbons (SNS type Ib1/2a; MK -; Göbl type Ia/7; Paruck -; Saeedi -; Sunrise 845, this coin). Toned, extremely fine. 18. Sasanian Kingdom. Shapur II (AD 309-379). Silver Drachm, 4.35g, uncertain mint, c. AD 370-379. Bust of Shapur II right, wearing mural crown with korymbos and inner ribbon. Rev. Fire altar with ribbon and bust left in flames, flanked by two attendants, each wearing mural crown with korymbos, legend on altar shaft, “rasty” (truthfulness) (SNS type Ib1/3b (pl. 21, 323); MK -; Göbl type Ia/6b; Paruck -; Saeedi -; Sunrise 868, this coin). Toned, extremely fine. 19. Sasanian Kingdom. Varhran (Bahram) IV (AD 388-399). Silver Drachm, 3.88g, AW (Ohrmazd-Ardashir), c. AD 388/9. Bust of Varhran IV right, wearing winged merlon crown with korymbos, single diadem end, letters of mintmark “aw” at the end of ribbon. Rev. Fire altar with ribbons, inscription - mintmark “aw”, similar to obverse to left of altar shaft (SNS type Ia5/1a (unlisted combination); Göbl type I/2; Paruck -; Saeedi -; Sunrise 884, this coin, otherwise unpublished). Well struck, toned, superb extremely fine. Extremely rare. 20. Sasanian Kingdom. Varhran (Bahram) IV (AD 388-399). Silver Drachm, 3.72g, HLYDY (Herat), c. AD 389-394. Bust of Varhran IV right, wearing winged merlon crown with korymbos. Rev. Fire altar with ribbons and bust right (no flames), flanked by two attendants, inscription mint mark “hlydy” (or “hrydy”) on altar shaft (SNS type Ia1/2a (pl. 39, 42); Göbl type I/1; Paruck -; Saeedi -; Sunrise 888, this coin). A marvelous example, lightly cleaned, delicately toned, superb extremely fine. 21. Sasanian Kingdom. Varhran (Bahram) IV (AD 388-399). Silver Drachm, 4.03g, Merv. Bust of Varhran IV right, wearing winged merlon crown with korymbos. Rev. Fire altar with ribbons and bust right in flames, flanked by two attendants (SNS type Ic/2c (pl. 40, 57); Göbl type I/1; Paruck -; Saeedi -; Göbl, Hunnen Em. 30 (Hunnic); Donum Burns 1565-6 (Kidarites); Sunrise 891, this coin). Extremely fine, lightly toned. 22. Sasanian Kingdom. Yazdgard I (AD 399-420). Silver Drachm, 4.35g, WH (Veh-Andiyok- Shapur). Bust of Yazdgard I on floral ornament right, wearing mural crown with frontal crescent and korymbos. Rev. Fire altar with ribbons, flanked by two attendants, crescent to left of flames and inscription “wh” to right and on altar shaft (SNS type Ib1/1a var 2 (pl. 54, 66); Göbl type I/1; Paruck -; Saeedi -; Göbl Coll. 5273; Sunrise 914, this coin). Lustrous and lightly toned, superb extremely fine. ; Sunrise 922, this coin). Toned, extremely fine. Someone broke-into the customer house and stole his safe with his coins inside. Almost all of the coins are Philippine Coins (see attached list). If your company will happen to encounter these coins, please contact Fullerton Police or the collector. Detectives with the Los Angeles police department are investigating the theft of high grade NGC slabbed ancient coins valued in excess of $400,000. The Carver County, MN Sheriff's Office is investigating a burglary where (51) $500 bills were stolen. There are no serial numbers available at this time.